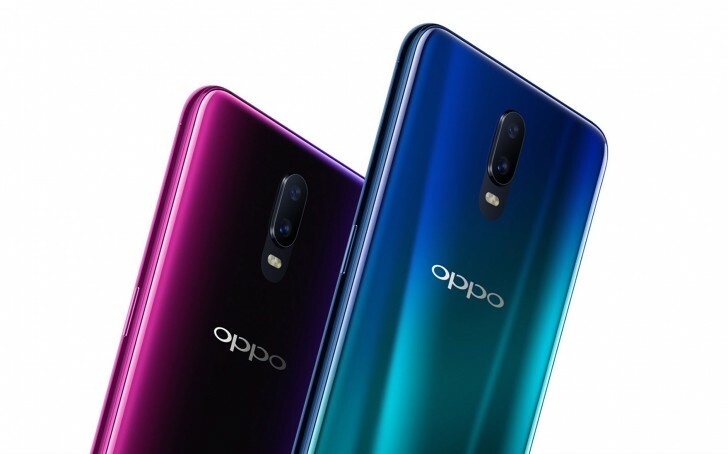 You might’ve thought Oppo is done with the surprises after the Find X unveiling, but the manufacturer just went one step further in introducing new technology in its smartphones. The R17 has just appeared on the company website with downright impressive specs - in-display fingerprint scanner, Gorilla Glass 6 protection and one of the tiniest notches out there for the selfie camera. 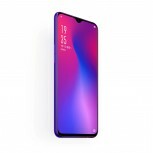 The phone will arrive with the new 10 nm process Snapdragon 670 chipset that was introduced last week. It has octa-core CPU in a 2-6 configuration - 2x Kryo 260 cores for performance at 2 GHz and 6x Kryo 360 cores for efficiency at 1.7 GHz. The GPU is Adreno 615, while the ISP is Spectra 250. 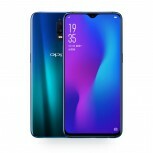 The screen of the Oppo R17 has practically no bezels on the side, while the top has a razor-thin bezel for the speaker. 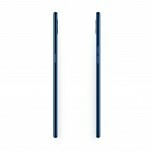 The bottom is the thickest bezel there is for the display controller. Oppo equipped the phone with a 6.4” AMOLED screen with Full HD+ resolution. Under the display is placed the fingerprint sensor that is just 4 sq.mm big and has a 3P Micro Lens for optical reading of the finger. 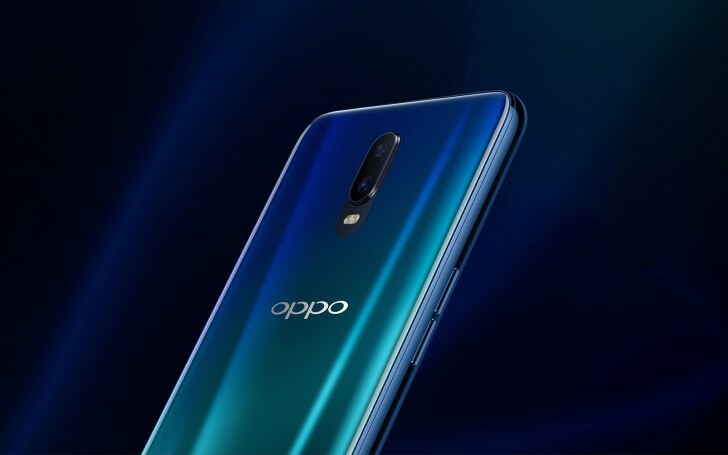 The selfie camera tucked into the notch is the 25 MP snapper with f/2.0 that Oppo introduced with the “Selfie Master” F7 and later made its way to the Find X. The rear combo is not fully revealed, but the company says it can read up to 800 scenes due to the AI abilities of the camera and software. 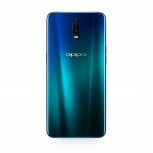 Oppo introduced VOOC to the F9 midranger, so it is not surprising at all that the R17 is also getting the quick charging technology. 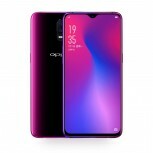 The battery is 3,500 mAh, just a tad bigger than the 3,450 mAh power cell in the predecessor Oppo R15. When we reviewed the phone, it managed to fill 58% of the battery in 30 minutes, so the new phone will likely have similar results. 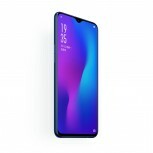 The phone has Color OS 5.2 as its main UI platform which is based on Android Oreo 8.1 It is the latest version and should bring some more voice-activated features, info panels and optimized battery performance. Arriving on Saturday, the phone can be purchased in two colors - Stream Blue or Neon Purple (rough translation). 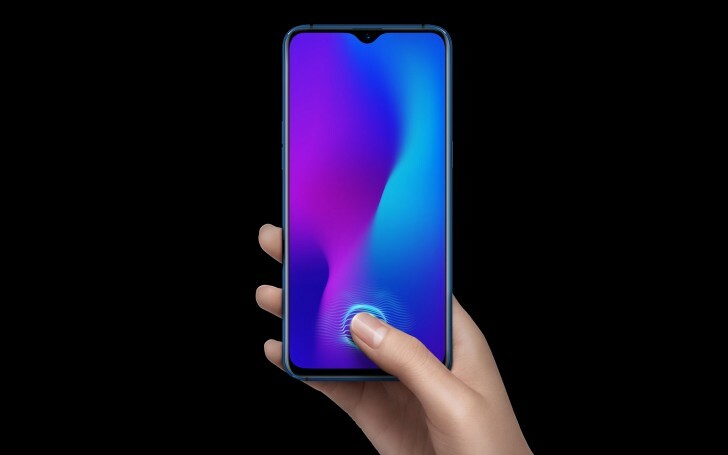 While the first one switches from Blue to Green to Aqua depending on lighting, the latter has one magenta and one violet edge of the black rear panel, making the phone appear completely different when looked from both sides. 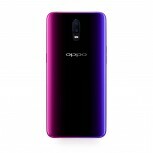 The phone will be launched for a flash sale on August 18 when the official price will be announced. For now, it is listed for CNY99,999, which clearly a dummy price since it is equal to $14,500. Me too, quite difficult for a design to be good with 3 lenses at the back but Oneplus thrives to derive good features from others and package them as one device, which is not bad at all.